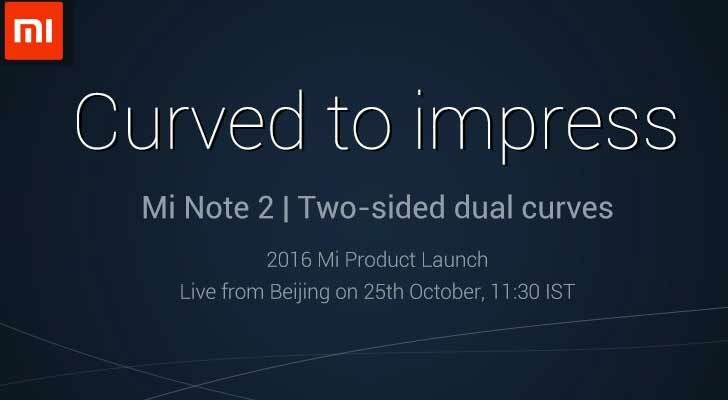 Xiaomi is all set to launch a new product, tagged ‘curved to impress’ – the Mi Note 2. This Smartphone will be officially unveiled on 25th October 2016. The company has posted a tweet that says two-sided dual curves. 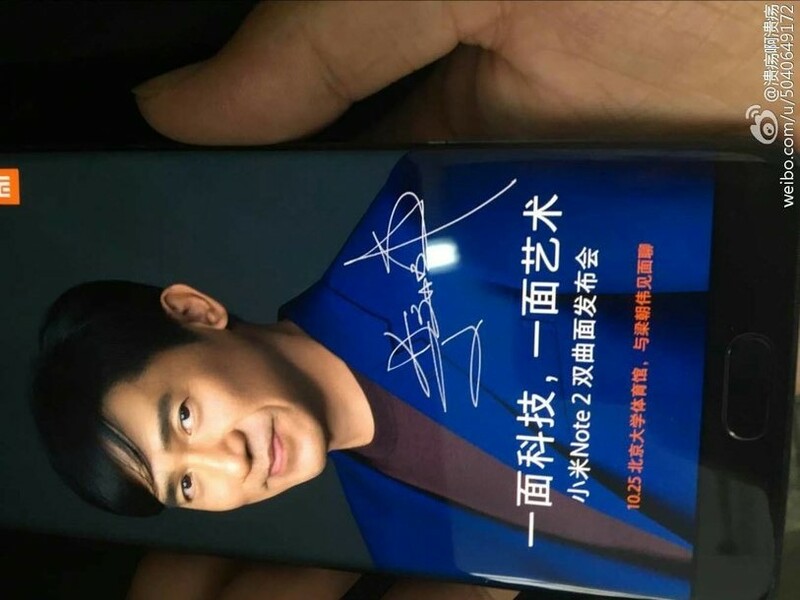 The event in Beijing will be live streamed but before that we got the Glimpse of new Mi Note 2 in the leaked picture. This is a high time for Xiaomi and perfect time to launch Mi Note 2 Curved Display as Samsung has failed to deliver the Brand quality with Galaxy Note 7 and due to faulty battery Samsung already recalled & discontinued the Note 7 production and now in the absence of Galaxy Note 7, the Xiaomi Mi Note 2 is ready to shine. 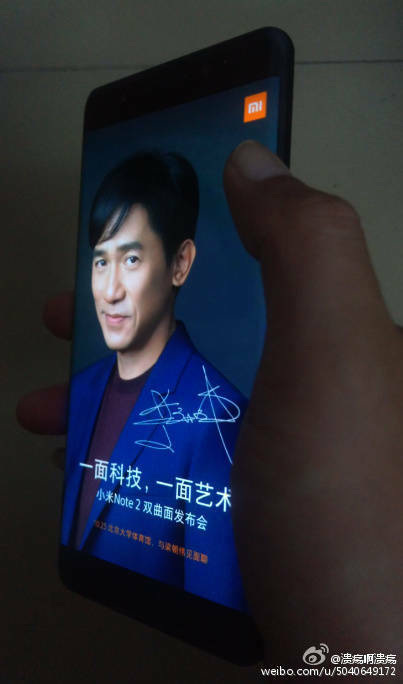 Xiaomi Mi Note 2 has cropped up online and it reveals a look similar to the recently discontinued Samsung Galaxy Note 7. The new images show off the dual-curved edge screen on the front of the phone. What we don’t see is the back of the device where a dual camera setup resides. Both the 23MP and 12MP snappers are using Sony sensors (IMX318 and IMX378 respectively). An 8MP camera adorns the front of the phone to shoot selfies and handle video chats. The Xiaomi Mi Note 2 carries a 5.7-inch Super AMOLED display with Force Touch and a 1440 x 2560 resolution. The Snapdragon 821 SoC provides a quad-core CPU and the Adreno 530 GPU. One model features 4GB of RAM and 64GB of native storage. Another variant comes with 6GB of RAM and 128GB of flash storage. A 4100mAh battery powers the unit, with Quick Charge rapid charging capabilities included. An ultrasonic fingerprint scanner is found under the display, and an iris scanner is thrown in for good measure. As for the price, the 4GB variant is seen to be priced at CNY 2,799 (roughly Rs. 27,800 and $418) and 6GB RAM variant is seen to be priced at CNY 2,999 (roughly Rs. 29,800 and $448). What you think will its have the potential to take the place of Samsung Galaxy Note 7 in its absence and at a half price?